Overall, the report calls for marijuana legalization in New York to be guided by three main principles: equity, health, and safety. According to de Blasio, his administration has already halted the vast majority of arrests for low-level possession and smoking; legalization now offers the state the ability to automatically expunge low-level marijuana convictions; working towards equity and a clean slate for New York. Still, even with legalization, reparations must be made to those who “bore the brunt of past burdens,” meaning low-income communities and people of color in New York who have been unfairly targeted by marijuana arrests. In late December, a New York city report was released by the New York City Police Department, Fire Department, and a number of other health departments and other agencies (known as the “Task Force on Cannabis Legalization”), recommending that all marijuana-related convictions be automatically expunged if marijuana is legalized in New York, as Mayor Bill de Blasio has recommended. The report also calls for “mandated job opportunities” to be provided for those impacted by the criminalization of marijuana and suggests a licensing structure regarding marijuana distribution and sale by a local cannabis industry in New York—i.e. one that benefits local communities. In an effort to both coordinate statewide issues and regulations, and permit local authority, where localities have the freedom to make the rules that fit their own communities, the Task Force also recommends the creation of a State office to coordinate all of these important issues and parties. 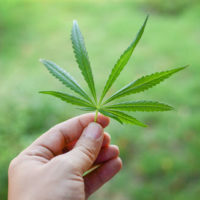 Automatically expunging prior criminal records related to conduct that has since been legalized, for example, adult possession, or use of small amounts of cannabis. It will be some time before marijuana is legalized in New York–before a new state law takes effect–in order to allow careful planning and coordination by the State to secure a solid foundation for legalized cannabis. Meanwhile, if you have been charged with a drug crime in New York, contact our experienced New York drug crime criminal defense attorneys at the office of Phillip J. Murphy today to find out how we can help.